The "Defining Energy Technologies and Services" careers chart provides a snapshot view of energy technology careers at the technician level. This wall-mountable poster is a great quick reference for students, technicians, employers, educators, and government representatives. 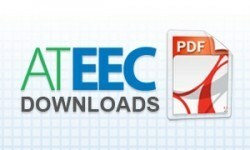 ATEEC has collected information from expert practitioners and educators in the field to generate the 2008 Defining Energy Technologies and Services report, distilling a wide ranging field of occupations into an easy-to-understand overview of the energy field technician occupations and job functions. The chart from this report is provided here as a mini-poster (11" x 17") to use as a quick reference to the energy technology and services field.